Here are some concertina recordings mostly from the first quarter of the 20th century. At that time, recordings were made mechanically (usually termed 'acoustic') using sound captured by a large recording horn, which indirectly drove a needle and inscribed the sound onto a wax disk. Recordings made this way do not have the quality of the later (after 1925) electrical recordings, and most of the 78rpm records used for transcription were badly scratched and worn. While most later or unworn 78rpms will play well with stylii of around 2.5 to 3 mil diameter, I have had to use huge 3.5 and 4 mil 'diamond nails' to bring out detail and reduce wear distortion. The transcriptions have been processed to try to increase the audibility of the notes played, rather than a good sonic reproduction of the perfomance, and all transcriptions are new. If you would prefer copies of the unprocessed transcriptions, please contact me, although be aware that (for archive purposes) the files are each around 140Mb (32 bit, 96KHz, stereo). A discography of Alexander Prince recordings was published in the ICA's PICA (and also here) at the end of 2012, followed by a discography of other players in 2013. We normally think of 78rpms as 3 or 4 minutes, but Norman Field has kindly provided two rare Musogram recordings of Bartle, each lasting in excess of 5 minutes, as well as a Grammavox recording. Norman has a very informative website - Early British Disc Record Labels 1898-1926 which is well worth dipping into. Thanks, Norman! Harry Boyd is probably better known as a concertina dealer in Newcastle around the turn of the 20th century. His 'Boyd' customised concertinas from Wheatstone and Lachenal are high quality instruments. However he did record a few sides and this record (originally released on Jumbo 600 c.1911) shows he was a very good player. Bramwell Thornett was a stalwart of the earlier days of the International Concertina Association, joining in 1969 although he had made many visits to meetings earlier, and a fine duet system player. He was a Brigadier with the Salvation Army, and this recording is part of the Salvation Army MF Series released on Regal and Regal-Zonophone. Archie Burgess is credited as popularising the duet concertina in the Salvation Army. The 'Triumph' duet was a name used by them for the duet system also known as Crane or Butterworth. These recordings are part of the Salvation Army MF Series released on Regal and Regal-Zonophone. William 'Dutch' Daly (1848-1924), was born in St. Helier,Jersey,in the Channel Islands,and became a major music-hall artist. His life and career have been documented in an extremely well researched article written by Randall C. Merris for the ICA's PICA Volume 4, available here. Although most well known as a concertina player, Alf Edwards was a multi-instrumentalist, playing trombone, saxophone, violin, drums, and even bagpipes and ocarina. He became a professional musician in April 1918, joing his father in a duo. 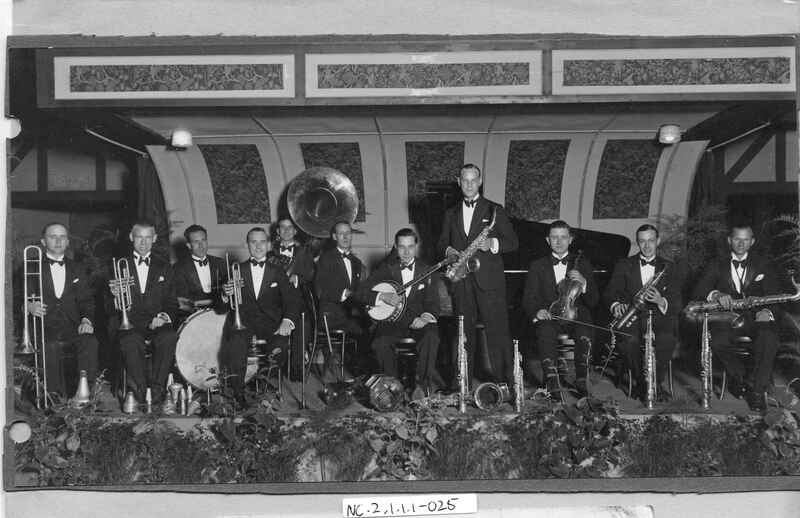 After his father retired, Alf was very much in demand, but fulfilled a longtime ambition to join a dance band and joined Jack Payne's Orchestra in November 1934, remaining with the Orchestra until it was disbanded in 1947. He was often featured on the concertina playing with the Orchestra's string section. He recorded on concertina	for HMV before WW2 with both Jack Payne and Bonnie Monroe, and after the war was also featured on records from the growing Folk movement. The Harmonic disc below (a very late 78rpm) was used for short introductions on radio and television stations, etc. so I've included it in full. Grock was a famous Swiss circus and music hall clown who included the concertina in his act.The recording below is one side of a four disc set of his complete act which was recorded in French. MR 501, A Sunday Parade. Church Bells, Organ Voluntary,Hymn - Rock Of Ages, Bugle Call - Fall In, Homeward Bound. Who Deeply Drinks Of Wine, Old Towler, Love Has Eyes, There Is A Tavern In The Town. MR 579, The Crown Of Scottish Song. Recordings of Percy Honri are rare. I've not seen any on general sale in the last 10 years until I got the Zonophone below in early 2016, and the Winner in 2018. The two Nicole discs came from somebody who knew of my interest. They are early 7 inch indestructibles. Unfortunately these paper based discs are very prone to warping and their surface produces a lot of noise. I had thought that this warping caused the apparent speed changes you hear, but another youtube transcription of the same disc showed exactly the same speed changes. Jim Hume is mentioned as one of the leading players circa 1920 in a letter to the Accordion Review magazine in the early 1950s. Although his style may appear a little simple compared to the other players on this page, it should be remembered that the English concertina is primarily a melody instrument, and his double octave and harmonised playing shows a considerable talent on the instrument. Jim Hume as "Jack Irwin"
on Ariel 1040 10" double-sided. William Kimber (1872-1961) was one of the main sources for the tunes and steps of the Morris Dance. "... both with some measure of noise reduction and filtering, but (I hope) preserving all of the recorded sound. As I mentioned a while ago, 70 rpm turned out to give 'sensible' keys for the two pieces: C and D major (at A=435)"
The label images show the earliest type of records issued by The Gramophone Company (later known as 'His Masters Voice') and handwritten details are engraved into the disc itself. I have no information on this duo or their instruments, but Stuart Eydmann notes in Chapter 8 of his The Life and Times of the Concertina that 'Blaze Away' was recorded on a 78 rpm disc by the concertina duet Messrs. Mitchell and Shepherd. They recorded this at least twice on different labels with a gap of almost 10 years. When I know little about a player, I always ask other enthusiasts at concertina.net for information before I start any research. This time some of them went off and did the research for me (see here). Frank's real name was Francini Olloms, and he was an acrobat as well as a very capable player. I've found only two records by him (see A Concertina Discography), and the other record is on the English International CD set (see here). I have very little information on Rutterford, other than his father (Charles) was also a player and teacher, and Harry Minting (the last manager of Wheatstone & Co.) was one of Charles' pupils. Ernest and Harry later played together in the Ernest Rutterford Band, where Harry normally played banjo. I was very pleased to win this 78rpm on ebay, thinking that I could add a new English player with recordings from around 1925-30. But things were not as they seemed. The recordings on this disk are not by Walter Dale, but in fact by Alexander Prince and were made for the Zonophone label in 1908/9. If you look carefully at the label for Adminstration March, you can see the stamped Zonophone catalogue code X49146. Both sides have the Zonophone matrix numbers stamped on them. But at least the disk produced better transcriptions than those on the Alexander Prince page. 10" double-sided from circa 1925-1930. © wes williams March 2019.